Ubisoft, publishers for AirMech announced today that AirMech Arena will be arriving on the Xbox 360 as a free-to-play game on Xbox Live this summer. If you’re not familiar with the game AirMech, AirMech is a type of strategy game giving players the ability to build units of robots used to defend bases. Arena can be played 1-player, co-op or competitive multiplier. 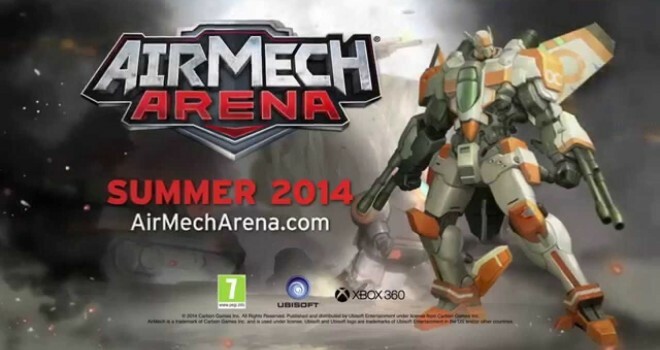 After release, AirMech Arena will receive regular game updates and new downloadable content says Ubisoft. Console players who also like strategy games will find the controls have been fitted comfortably for the Xbox 360. Specific launch date has not been set, but is confirmed to be out this summer.